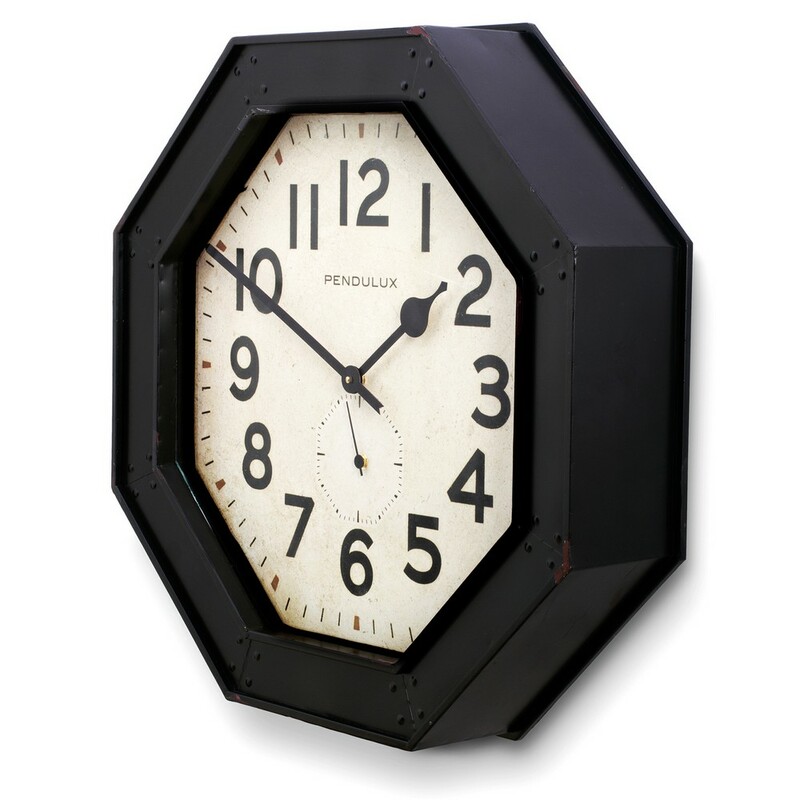 Sheet metal with hand-finished distressed paint, 24”. Popular in roadside eateries from coast to coast, this large clock was made to be viewed from a distance; often sporting the name of the establishment on the large dial. 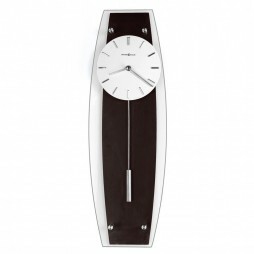 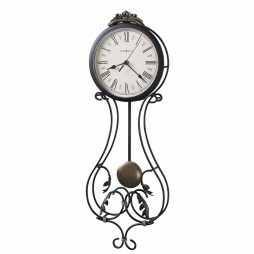 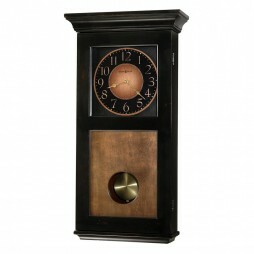 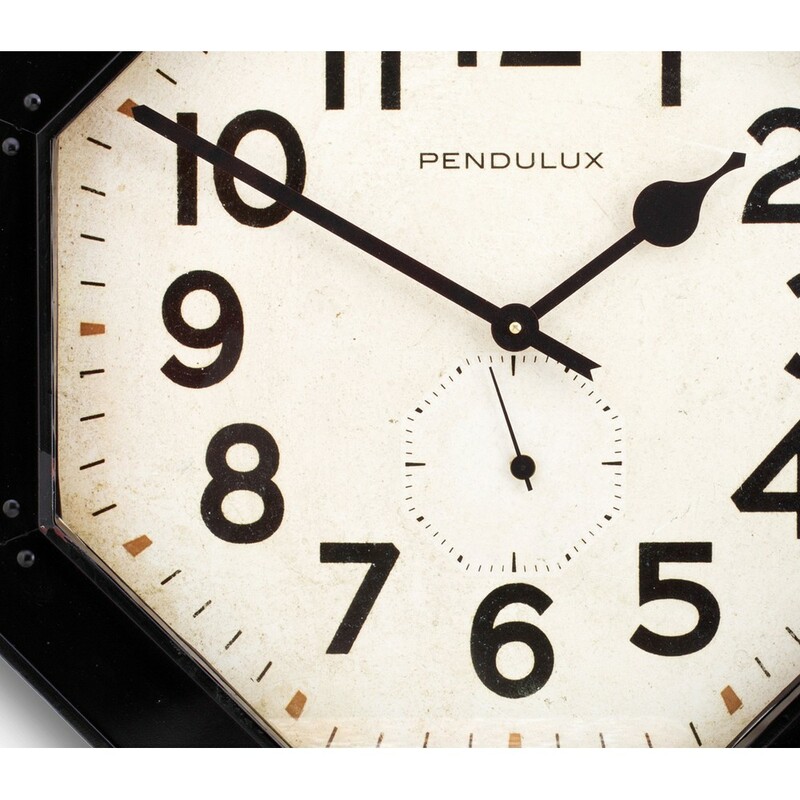 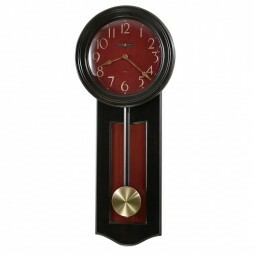 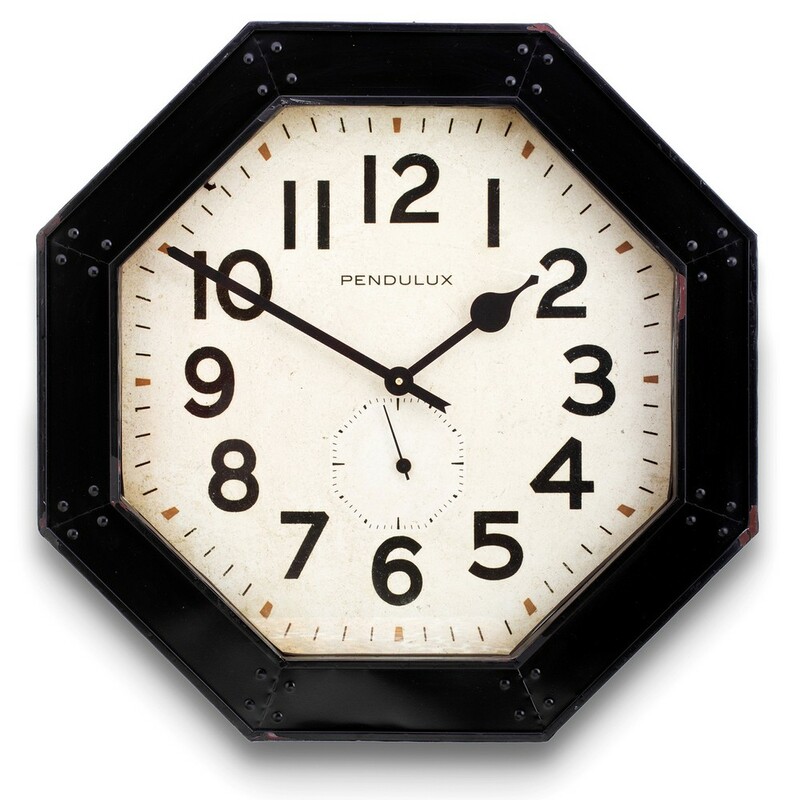 This Pendulux clock is faithfully reproduced in riveted sheet metal with a distressed painted finish.